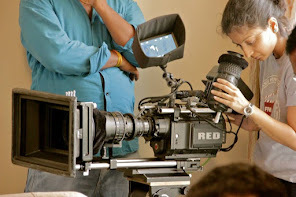 Film Institute in India: Cinematography & Film Lighting - Learnt as a craft!! 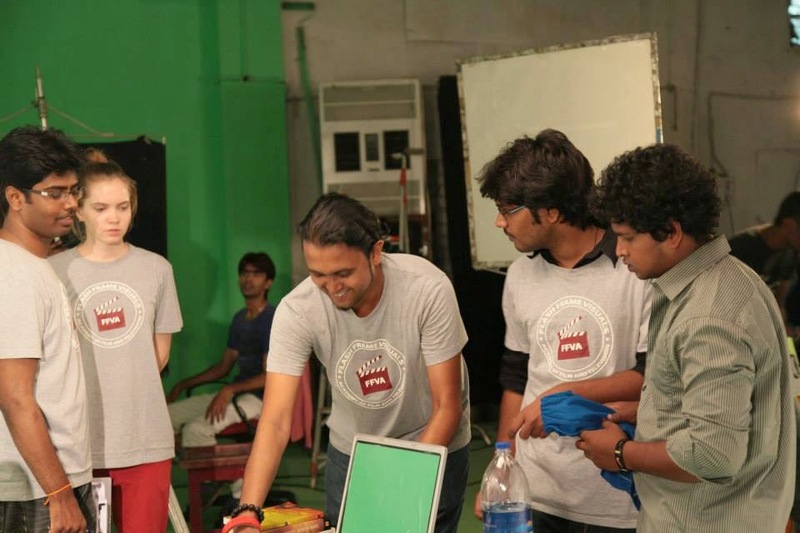 The specialization semester for the students of Flash Frame Visuals Academy of Film & Television, Bangalore, India, began with a four-day workshop with Mr.Tamal, who has worked as an Associate Cinematographer for KamalHaasan's film Vishwaroopam. 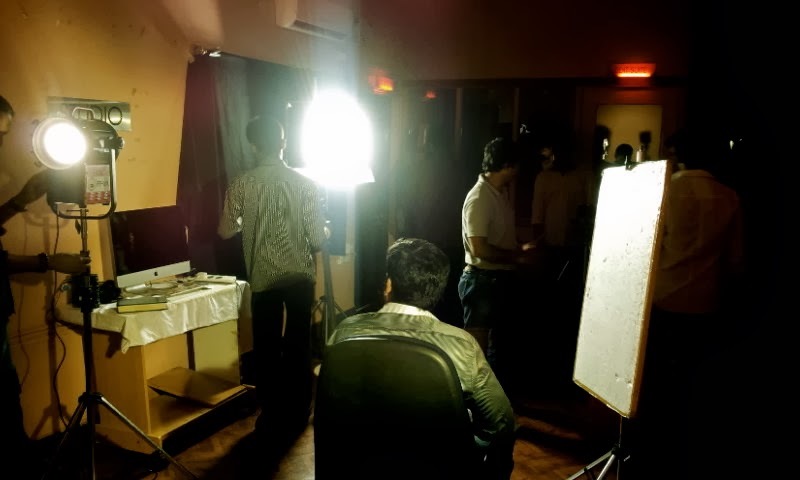 Students not just learnt the advanced levels of cinematography, but they were made to do various challenging tasks and experiments with different kinds of lights. Same is the logic when one does lighting for the sequence. Of course one wants to focus on a specific person/artist/object. But for that you have to carefully light the surroundings as well in such a way that eyes see it all & yet concentrate on one specific thing. From bright day effect to night lighting, FFVA students experimented it all. 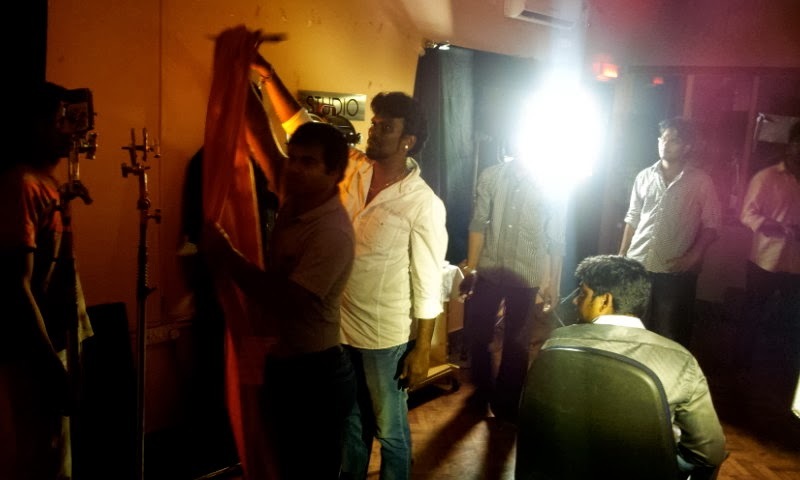 Being under Tamal’s guidance, students were also thrown into the situations where they had to come up with best lighting combination with limited set of lights provided to them. That’s how they learnt different methodologies of lighting. Also apart from experimenting with still shadow effects, they were made to undertake various motion sequences to play around with shadows and other lighting variations. Amongst other practical workshops that often take place at Flash Frame Visuals Academy, this one specially helped students think in advance while planning for their future film projects. 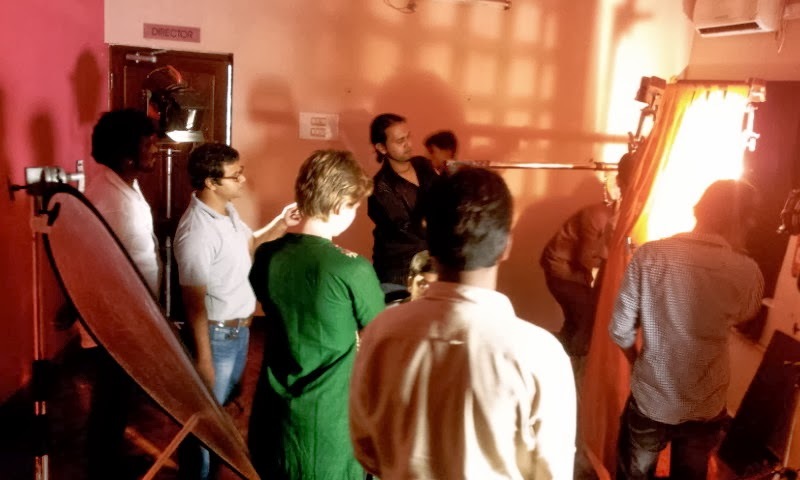 Students of Advanced Diploma in Cinematography were inquisitive enough to ask more questions, for which they were given live demo with all kinds of lighting accessories used in the film industry. Since they were made to work under real time field work, like that of a film shooting unit, we could see their confidence levels grow day by day as efficient film directors and Cinematographers. The Advanced Diploma in Cinematography and Advanced Diploma in Film Direction students will have more such intense and interesting sessions in the forthcoming months. And of course, they are all ready and excited to explore their skills further. Thank you author for the information given here. I love to read more info. So keep posting.